So poignantly do Our Divine Lord’s Words resonate lest we misconstrue the perishable bread of Satan’s deception for the eternal bread of Life in Christ and His Word. This despicable deception fools so many of us today in the Catholic "communities" which ply the bread of this world as more significant than the bread of heaven. How is this so? 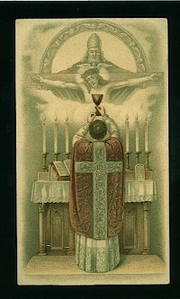 Since Vatican II and the exchange of the new Mass (Novus Ordo) for the traditional Mass (Tridentine Latin Mass) with all the reverence, belief, and high liturgy being so dramatically reduced, one can see an exchange of this nature having already been undertaken on many levels–one to which Christ Himself would never submit either in whole or in part. 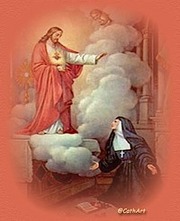 This nefarious exchange of false charity, of exchanging the bread of heaven for the bread of this world, is so dramatically evident in the way we treat the mundane, profane, and unsatisfying bread of this world is now the same way we treat the eternal Bread of Life; Jesus Christ’s Body, Blood, Soul, and Divinity. 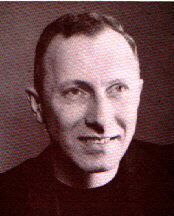 We have exchanged the spirit of the eternal bread for the mundane in so many, many ways through the art of satanical deception: this becomes true whenever one receives Communion in the hand, for it permits the proud sinful mortal to look down on the Infinite Purity of the Divine Love of the Second Person of the Blessed Trinity in his hands, instead of looking up at Him reverently in lowly repentant faith, humility and adoration as is the case when one receives the bread of life on the tongue. 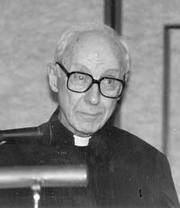 Such a trade and such an exchange has brought about two kinds of reverence and deportment: one of which has spread itself like a veritable cancer throughout the Body of Christ, the Catholic Church. 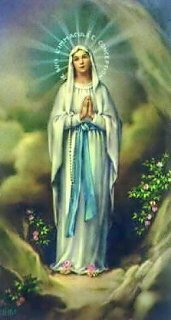 It has been said that the great saintly sister of true Christ-like charity herself, Mother Theresa of Calcutta, has taught that communion in the hand is one of the greatest curses on the Body of Christ, for the ruin it has reeked upon personal piety. No genuflecting, no kneeling to receive one’s Lord and God, no formal Sunday attire, no high church ritual and rubrics, commoners swarming on the altar with the hierarchy, liberated women, mantilla-free, as lectors removed from their holy silence of the Catholic past, and virtually no commoners tarrying after to worship their Lord and God in thanksgiving, and on and on the desacralization of false charity and modernism advance in the Church today. 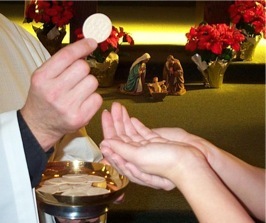 So degraded is the Eucharistic Presence of Our Lord and God and the corresponding belief therein as well as the lower number of communicants and their lack of individual worthiness today that huge numbers of Catholics have literally accepted the Protestant deception that the Bread of Life is unnecessary for salvation! For the second temptation Jesus is to hurl Himself down from the pinnacle of the temple and He answers: "Thou shalt not tempt the Lord Thy God." These words devastate with divine authority the second major deception Satan uses on mankind and here Christ. To take total control of one’s life even unto death, even unto wantonly ending it or even another’s. How this ugly reality assaults us today in contraception, sterilization, masturbation, homosexuality, abortion, euthanasia, and stem cell research. Deception, mendacity, and dissembling are the tools of satanical deception with all of our souls under the guise of a false charity. Why a false charity? It is so because wickedness and evil are costumed in the attire of something good that Satan is offering to us in sin and temptation with his friendship. The gift here to Our Divine Lord is more subtle: that Jesus would lay down His life to please Satan and take it up again so whimsically; indeed, a much more terrible deception than the temptation of food. Has not Christ in Scripture defined Satan as ‘the father of lies and a murderer?’ Here the murderer comes out in Satan with his desire to see Christ die and take His life up again only to entertain Satan with His Divine Power. This would be a complete perversion of Jesus’ true mission from His Father to save mankind: "For this is My Blood of the New Testament, which shall be shed for many unto the remission of sins." 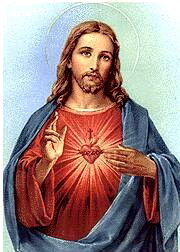 (Matt 26:28) So much easier would this not appear than the ugly crucifixion to save mankind from sin. This would be a paltry nothing for divine power but a total perversion of the mission and purpose of Christ’s infinite divine goodness to save mankind. How deeply Jesus prayed to His Father the night of His Passion for this ‘cup to be taken away.’ Again this apparent good or gift from Satan, false charity, is indeed a temptation to the worst evil for Jesus in failing to do His Father’s Will. All false charity on the desert of perception where reality is to be rejected, appears to be ostensibly a good; but, in truth, if Christ went along with Satan, a devastating evil of divine proportions. Now, in consideration of Satan’s third temptation we have his consummate wickedness and worst deception of all: the temptation at the top of the mountain to possess all the kingdoms of the world, their possessions and glory could belong to Jesus if only He will fall down and worship Satan. The master of deception dresses up the things of this world with a bow and ribbons and promises this gift to Christ if He will just commit idolatry, worshiping the creature and not the Creator. As with all false charity, the goal is evil: the destruction and ruin of God’s hierarchical order of the universe with good over evil, with life over death, with faith over disbelief. This divine order which Satan is determined to overthrow is not a would-be gift for Jesus and humanity but the death of humanity itself if Jesus would accept such a perverted gift—to deny His salvific mission. Herein lies one of the most pernicious aspects of all false charity: the rise of satanical egalitarianism in the modern world and all of its ugly manifestations with empowerment of self as the god and the dethronement of the hierarchical order of God’s universe: the Blessed Trinity, the angels, Mary and the saints, the souls in purgatory and the damned. And who meditates on these realities anymore in current theological circles? 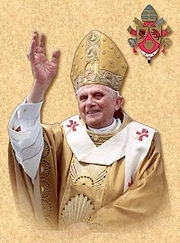 Or consider the ecclesiastical hierarchy of the Church: the pope, bishops, priests, deacons (the ordained), the religious, and the laity (the unordained). Today’s political liberation movements all argue for an obsessive egalitarianism to feel good about oneself, which is nothing less than the satanical false charity of self-aggrandizing Marxists, just as Satan tried to force Christ to worship at his feet so he and God would be equal. Movements insidious abound in Christ’s hierarchical Church like feminists arguing to be ordained deaconesses or priestesses in spite of the Divine Will and perfect order established by Christ, the Divine Celibate, with the all male priesthood; or the homosexual invasion of the priesthood, the seminaries, and the rights of the sacrament of matrimony; or priests advocating optional celibacy and married priests; or theologians teaching and arguing for dissent against the Magisterium and Tradition; or bishops armed with ecumenical collegiality trying to overturn an infallible papal decree or simply the ordinary Magisterium of the pope. How deftly satanical egalitarianism on the march drives many, many souls through the gates of hell with this sin of false charity and the self-enfranchisement of pride. This gift of self-empowerment from Satan breeds a malicious false charity in the human heart so it is unwilling to serve others in Christ-like charity. 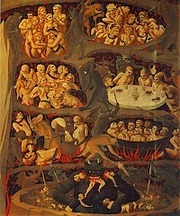 And did not Satan argue in Milton’s "Paradise Lost:" "I’d rather rule in hell than serve in heaven." Indeed, the built up iniquity of our lives piles up so much that it surfeits our souls so that they are therefore unable to "know the secrets of the kingdom of heaven." The most noteworthy of these secrets is to have the graces of Christ’s own virtuous perception of our ultimate personal spiritual reality. But how does one attain to this holy wisdom of the secrets of God’s kingdom? Very clearly, we shall see these secrets only if we are truly one of his disciples, as Jesus said: "To you it has been given to know." This, of course, can only happen if we are His disciples with all the sincerity of our hearts, hearts unsurfeited by frequent sinning or serious sin. This gives our hearts the clear supernatural vision necessary to discern not only the beautiful truths of Christ’s charity but, by the same token, the perception-deceptions of Satan’s false charity. 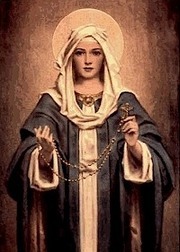 Let us pray especially during Lent to the most charitable of human beings to ever have lived, the Mother of Our Lord and Savior Jesus Christ, Mary most holy, who will crush under her heel the serpent and all his teachings and manifestations of false charity.